Atlanta airport is the world’s busiest. When you look at the number of flights many of the other busiest airports drop down in the rankings, major international airports often have large widebodies dominating but fewer flights. Atlanta certainly sees its share of widebodies but is also a major domestic hub with narrowbodies and regional jets. It turns out that Chicago O’Hare isn’t that far behind Atlanta when ranked by number of flights. Here’s data from Airline Weekly sourced to Airports Council International. Chicago had about 18,000 fewer flights in 2017 than Atlanta. That’s 50 flights per day. But Chicago O’Hare has plans to grow its infrastructure faster than Atlanta does, and that could allow the United and American hub to overtake Atlanta. The Chicago plan grows the airport from 185 gates to 220 in 2026. In all likelihood this is either-or. But even if Atlanta added 8 gates to the south end of T and 6 gates across the other three concourses under consideration, in addition to the 5 they’re already adding to the north end of T that’s 19 gates for 212 total, shy of the gate capacity O’Hare is projecting. And I bet even if ORD becomes the airport with the most traffic, it STILL won’t have a Centurion Lounge. I thought airports were measured by passengers, not flights. ATL always seems to trumpet pax movement when it claims “busiest”. WOW, Chicago O’hare will grow from 185 gates to 2,020 gates? Yeah that would definitely make them the number 1 airport in the world lol. ATL T Concourse is in need of a refresh, though with Delta footing a big chunk of the bill and T hosting the UA/AA gates, I doubt this is high priority. 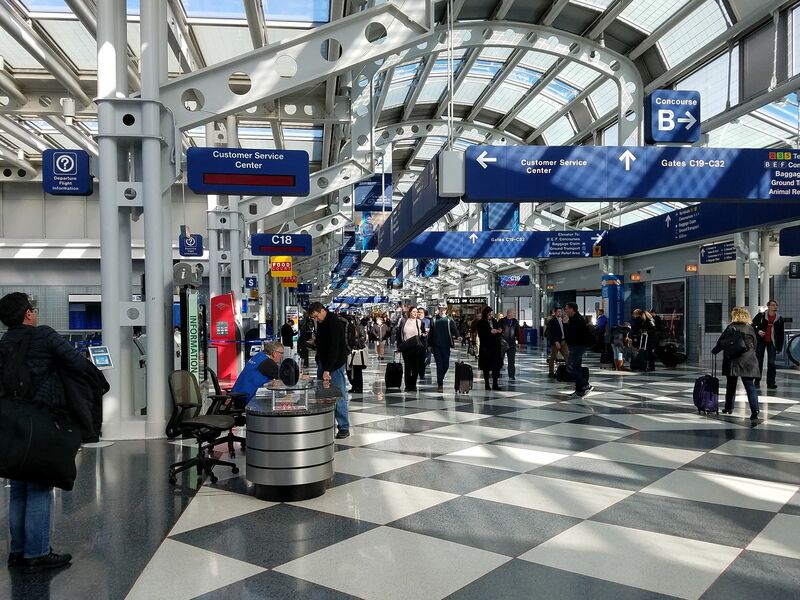 ORD gets a bad rap, but compared to other “big city” US airports it’s really not that bad. I think the lack of lounges (Centurion, 3rd party PP) has more to do with the fact that there’s no more room in Terminals 1-4. Chicago has another airport with a lot of traffic. Midway had 251,341 flights in 2017. Amex could build multiple centurion lounges at ORD, they would still be insufferably overcrowded. I really don’t care who’s on top, I’ll avoid any in the top 10 whenever possible. They’re all miserable to fly through. I think the lack of lounges has more to do with the fact that there’s no more room in Terminals 1-4.